5 Beds 3 Baths 3,122 Sq. 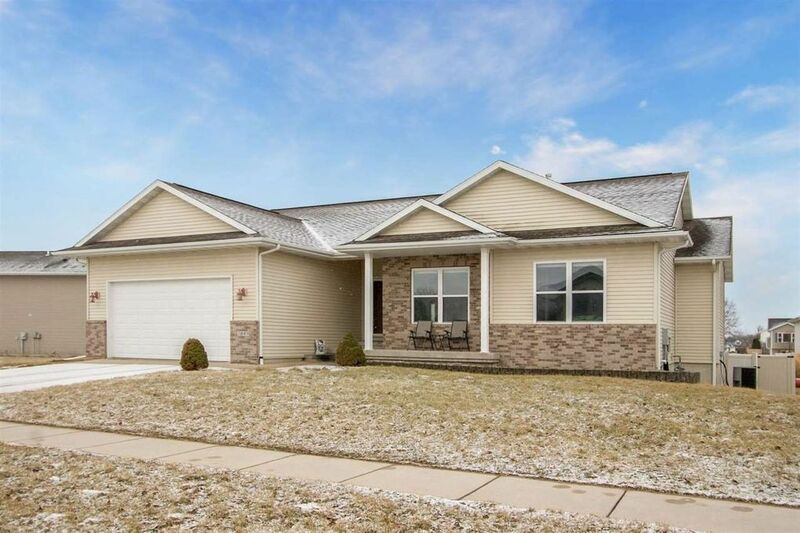 ft.
Nicely finished ranch on a spacious lot in Quail Ridge! Special amenities include a sunny 3 seasons room with a cedar plank vaulted ceiling and adjoining deck with stairs to an expansive patio/basketball court; functional kitchen that boasts granite counters, custom glass tile back splash, tile flooring, upgraded Samsung refrigerator, microwave and range/oven, and raised bar; large dining area with maple wood flooring; soaring high vaulted ceilings and 9 ft. ceilings on the main level; cozy stone tile fireplace; master suite with a large walk-in closet and all tile shower; large lower level family room; 8x11 1st floor laundry room with a handy folding counter plus the washer/dryer stay; white painted trim; solid panel doors and oil rubbed bronze hardware; 16x23 unfinished storage room; great fenced yard; security system; front porch and located across the street from Quail Ridge Park! Directions: Jones Blvd. to Cory Ct. or use Colton or McKenzie.